For a High Quality Service & Finish. Colorcote is a family run business based in Hethel, on the outskirts of Norwich. We specialise in the spray application of wet paints and electrostatic powder coatings to various substrates including aluminium, steel and plastics. Established in 1985, we have built an excellent reputation in the industry and have become one of the regions favourite product finishers. Our projects have included high spec audio and electronic equipment, vehicle parts, signs and stands, balustrades, railings, playground equipment and uPVC (PVCu) windows, doors, conservatories and roofing products. The quality management systems at Colorcote have been accredited to the International Standard BS EN ISO 9001:2008 since 1996. We currently employ around 25 full time staff, have a small fleet of vehicles to facilitate collections and deliveries in and around East Anglia and four well equipped production lines enabling us to take on just about any job! If you have any queries regarding powder coating, uPVC (PVCu) window and door spraying, paint spraying, grit blasting (also known as sand blasting) or any other services being offered please do not hesitate to contact us by email, fax or telephone. 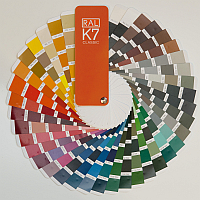 With our extensive knowledge and experience we will be able to help you choose a finish that is right for your project. Opening times: 8am – 5pm Monday to Thursday and 8am – 4.30pm on Fridays.